Stamp Scrap Fever! : 1 - 2 - 3 Craft September! 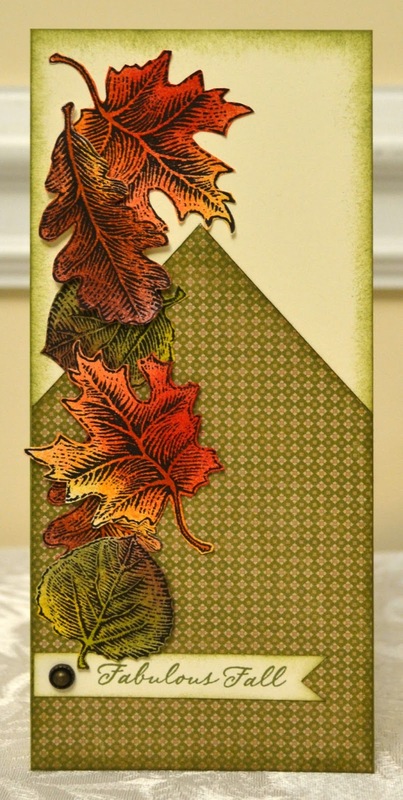 This month the 1-2-3 Craft ladies are sharing a card from Originals, page 34, "To The Point." 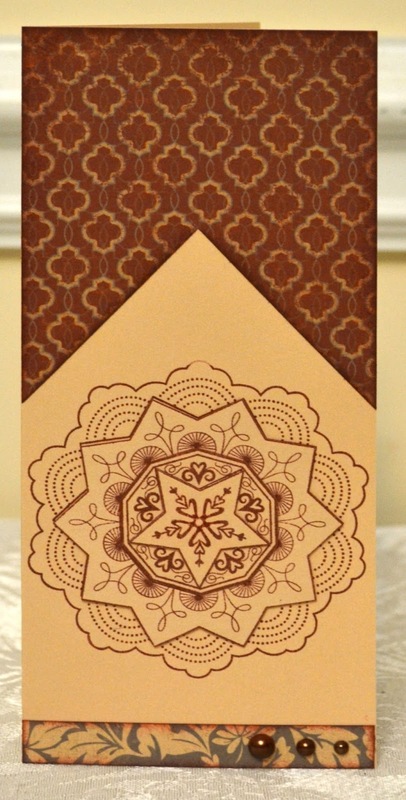 This is an 8"x3.5" card - I love this size which fits nicely inside a business envelope. I started with one card but was having so much fun I couldn't stop. Therefore, I bring you four cards - all a variation on a theme. All papers are from the Close to my Heart Huntington paper pack which was also featured in the Paper Trail blog hop earlier this month. Thanks so much for stopping by. If you haven't already seen the other participants' cards, be sure to visit Mary at Road to Peace of Mind or Escape? and Darlys at Crafty Happy. 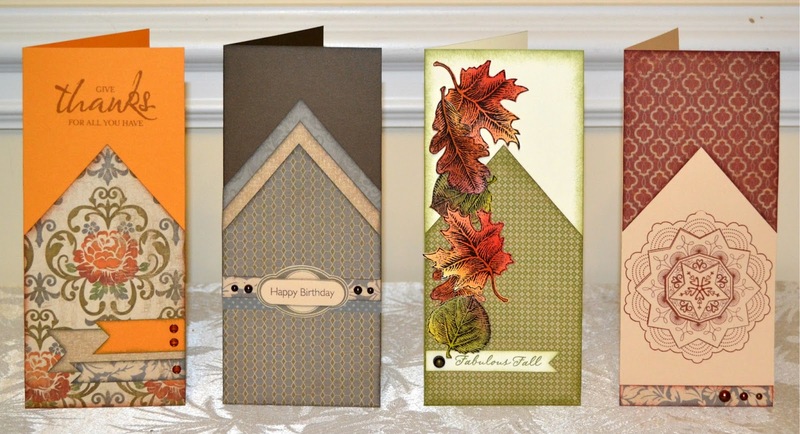 Great cards and great variety of one pattern!!!! Love them all...such a great way to show how versatile one pattern can be!